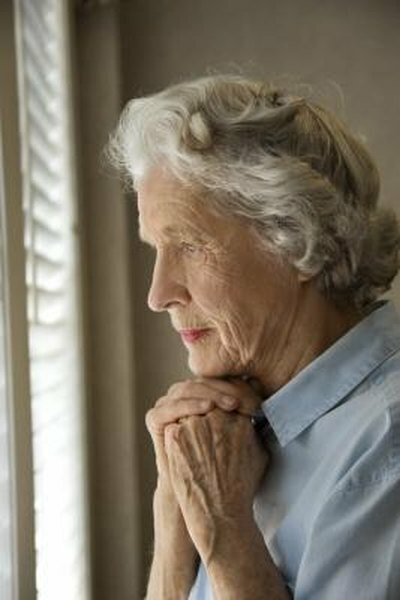 Widows can get survivors' benefits from Social Security. Social Security provides income for people who are retired as well as for their dependents. A surviving spouse, even one who has never worked, is entitled to receive benefits, depending on the age of the survivor at the time of the spouse’s death. If widows marry again, they may have options to claim the best benefits from one of their spouses. A woman who is 60 or older can get widows' benefits if her current husband dies and he had earned the required amount of credits. Generally, a couple must have been married for at least nine months before the worker died for the widow to collect benefits. A widow or widower who is at full survivor’s retirement age or older usually receives all the worker’s benefit amount, while a younger surviving spouse can receive 71 to 99 percent of the deceased’s benefit amount. A surviving spouse with a child younger than 16 receives 75 percent. A widow at any age can get benefits if she takes care of the deceased’s child, as long as that child is younger than 16 or disabled. Whether or not you can receive benefits from a previous marriage depends on your age. If you remarry before you turn 60, or 50 if you are disabled, you can’t continue to receive benefits from your previous marriage as long as you are married to your new spouse. If you are 60 or older -- 50 if disabled -- when you marry again, you can continue to receive benefits based on your late husband’s record. If your new husband receives Social Security benefits while he is alive, a wife’s benefit may be larger than the widow’s benefit from your previous husband. If so, you can apply for a wife’s benefit based on your current husband's record. If your second spouse dies, you cannot receive benefits from two deceased husbands at the same time. Ask the Social Security Administration to compare the records from your previous husband with those of your second husband so that you can claim the record that provides the greatest benefit. A divorcee can collect an amount equal to 50 percent of her ex-husband’s benefits if the marriage lasted at least 10 years, she is 62 or older, is divorced for at least two years, and her own work record would produce lower benefits than her ex’s. The amount she receives doesn’t affect the benefits that the ex-husband or his current spouse receive. If the divorcee's ex-husband dies, she can receive widow’s benefits at age 60 that could be as much as 100 percent of her late ex-husband’s benefit, provided the marriage lasted 10 years or longer. If the divorcee remarries, she can’t continue to collect on the former spouse’s record unless the second marriage ends by divorce or death of the second husband, in which case she has the option to claim the greatest benefit.